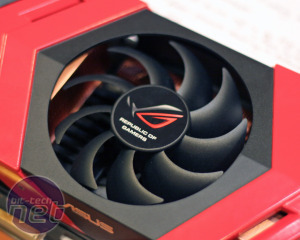 Recently we grabbed some time with the Asus technical gurus about their latest cracking bits of hardware - the Ares: a completely revamped Radeon HD 5970 and the Immensity - an LGA1366 X58 motherboard with Lucid Hydra and Radeon graphics card all built into the actual PCB itself. What's so special about the Asus Ares? 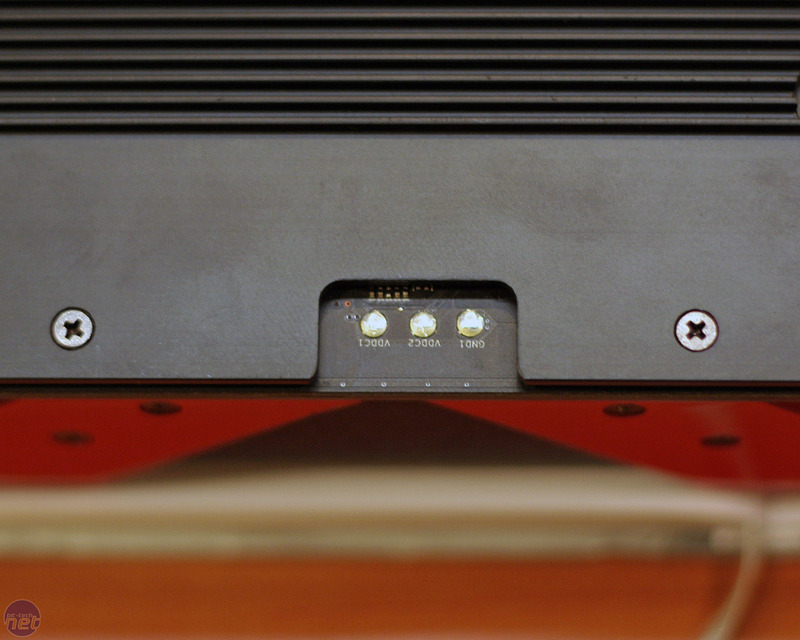 Just like the MARS, only 1,000 Ares will be made from 2,000 hand-picked HD 5870 cores, and each will come in its own 'mafia-style cash case' with a Republic of Gamers gaming mouse thrown in. It will make an epic first impression when it arrives on your doorstep! Unlike the MARS, the Ares cards won't be numbered - we were told this is mostly because the Chinese market is superstitious and previously people wouldn't buy or returned cards with 4s or specified models with 8s. The Ares cards are built using a hefty 12 layer PCB - a comparison to the 10 layers on MSI's redesigned Lightening was briefly mooted, although it was followed with a swift injection that the Ares is a dual-chip HD 5970 to the MSI's, arguably simpler, single chip HD 5870. 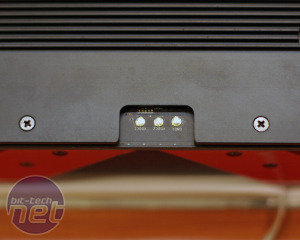 The card's core power hardware is somewhat updated, too - although the digital VRMs remain the same as on the HD 5870 (for each core), the extra PCB space affords less signal interference and better grounding. 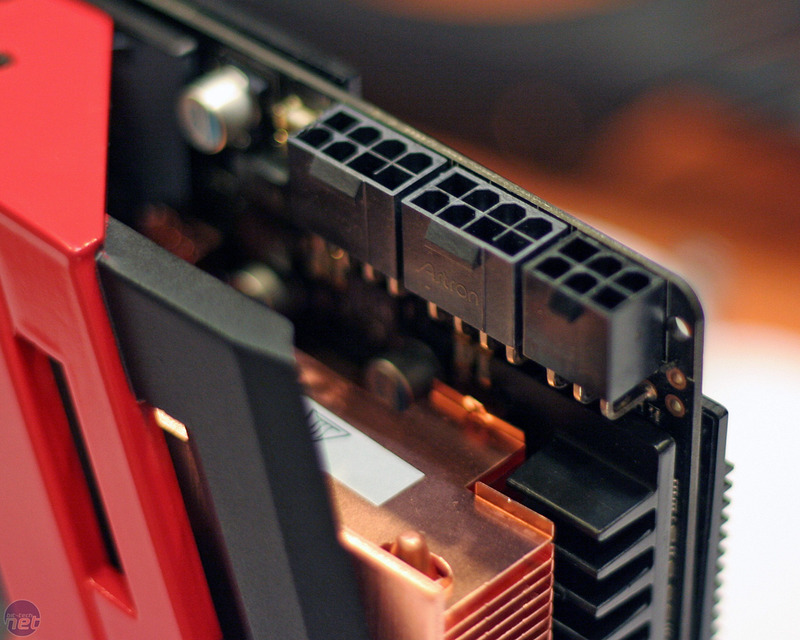 The 8+8+6 PCI-Express sockets play an equally important role in the stable power provision according to Asus. 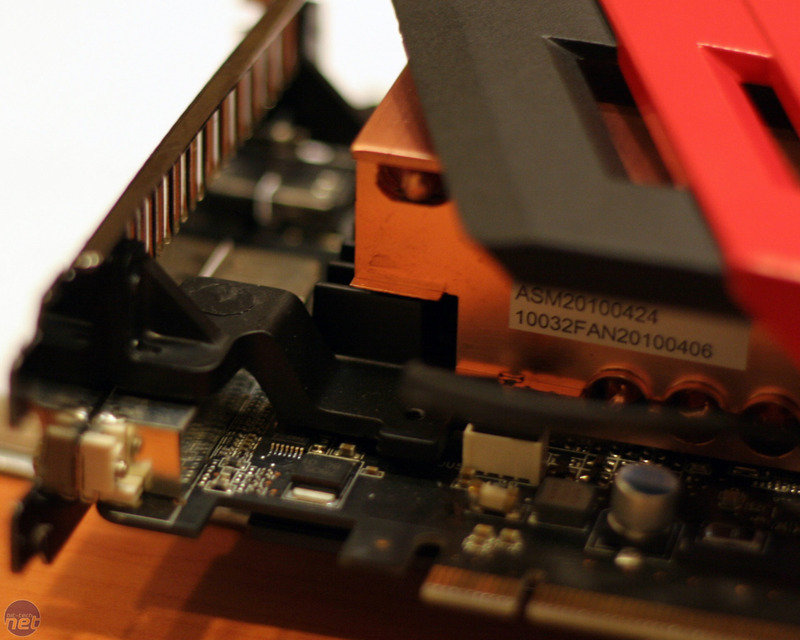 Only the 8+6 are really required for normal operation - the extra 8-pin is for additional performance. 8+8+6 may seem grossly excessive until you think that a normal HD 5870 requires two 6-pin sockets, so CrossFire HD 5870 - which is essentially what the Ares is - requires four cables anyway. 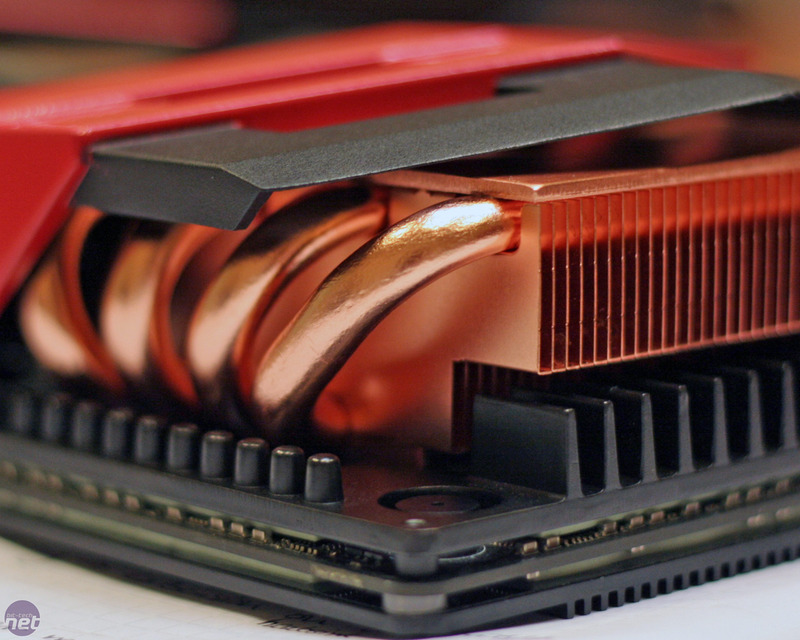 The Ares' cooler consists of two 99.9 per cent copper fins and heatpipes, lacquered to protect them from oxidising, which Asus claims improves thermal conductivity to the maximum potential of the metal. 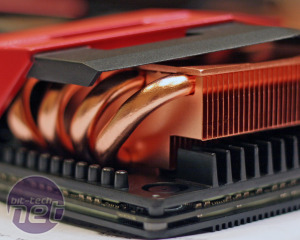 The heatsinks were firstly tested with three heatpipes, but the Asus team upped it to four with an additional copper plate on the top of the fins to direct more of the airflow through. 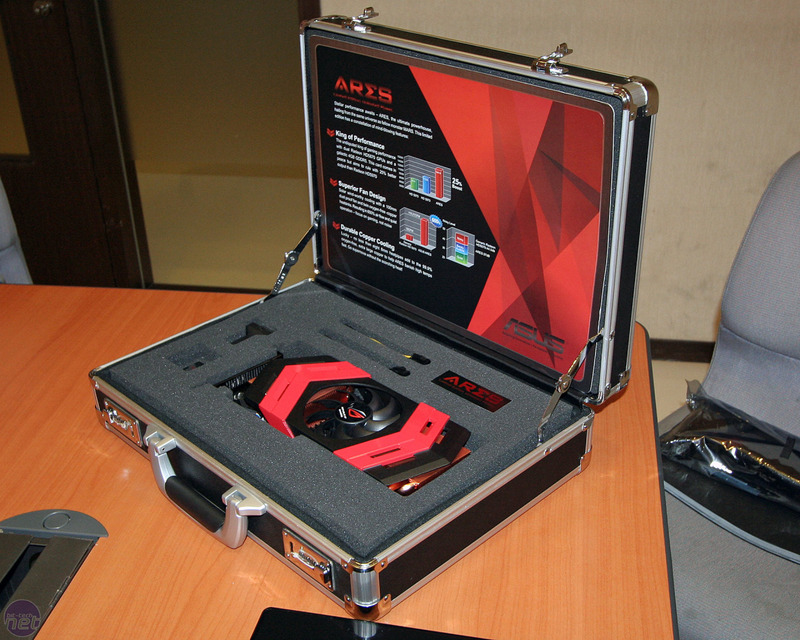 Asus has launched the Republic of Gamers G53 laptop, with 15.6in 120Hz 3D display.